We are a Sacramento-based, nationally distributed publication focused on government and public policy from a non-partisan, Latino perspective. 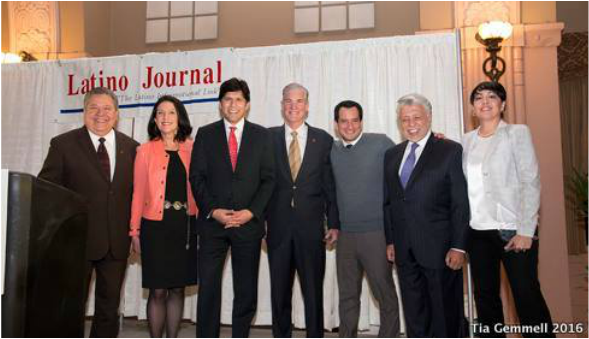 The Latino Journal Magazine was founded in July 1996 by Jose L. Perez in Sacramento, California. Its primary focus is to provide a non-partisan analysis of government and public policy from a Latino perspective. Eighteen years ago, California was home to 25% Latinos, today, it is the largest minority group and almost a majority of the state's population. Through the years, Latino Journal provided hard copies of its magazine and its distribution to all but two States in America. The largest disbursement was in California, Washington, DC. and Texas. Both hard and digital copies continue to circulate and provide in-depth and unique perspectives of Hispanic legislators throughout the nation. In addition to publishing, Latino Journal is an advocate for local small businesses, Hispanic organizations, education, arts and the green energy industry. We love new business ventures! Contact us about partnerships and advertising. ﻿﻿Latino Journal is always looking for new projects and partners. Click below to connect.